Whether you are a diehard country fan or can only tolerate a few catchy hits, there is no denying that country music is a magical way of saying “I Love You.” You don’t even have to have a country themed wedding to throw in a few of these heartfelt songs. Just adding a few to the recessional of your ceremony is a great way to start off your new life and get everyone in a celebratory mood! If you’re looking for the most fitting wedding recessional country songs, then you’ve come to the right place! There is no better way to end the ceremony than with this fun and upbeat song. Have some fun as you make your walk (or dance) back down the aisle as the new Mr. and Mrs.
You want your recessional song to lighten the mood and get everyone ready to celebrate. This song from Tim McGraw is sure to turn your wedding into a party! It’s got a classic country beat that your guests won’t be able to resist tapping their feet to. You may recognize this song from Runaway Bride starring Julia Roberts. The song is simple and cute with a catchy beat that will leave everyone smilingeveryone’s face. How Forever Feels tells the story of a young man who seems to have had a pretty good life but still feels like something is missing. It perfectly touches on the new life you and your new spouse arespouse embarking on. Josh Turner’s deep classic country voice brings this song to life. 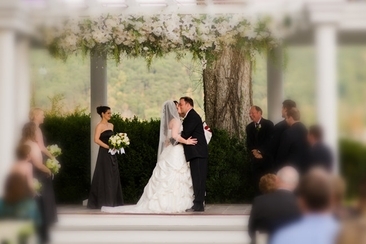 It is a sweet song that is fitting for the end of your ceremony as you take each other’s hands as newlyweds. With an upbeat tempo and a classic country beat, this is one of the wedding recessional country songs that will let your guests know it’s time to dance and celebrate the bride and groom! Originally, this song was released by the American country group Shenandoah and was added as a bonus track on the Rascal Flatts' album Changed in 2012. - both are great renditions! It is a fun and upbeat song tells everyone there is nowhere you’d rather be than right by your lover’s side. This song is full of energy and will show everyone how in love the newlyweds are! 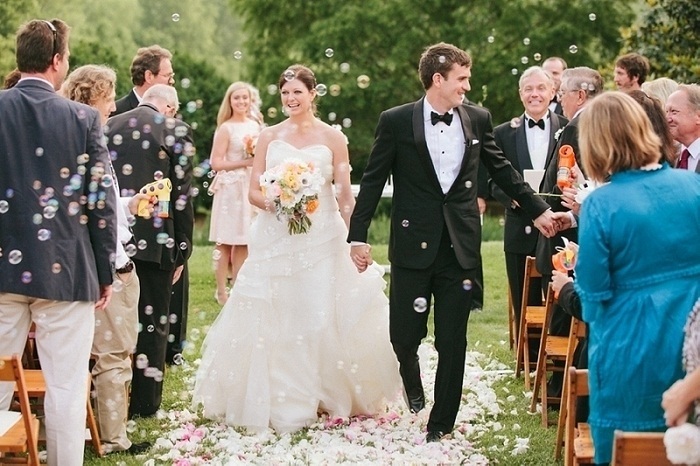 It is all about being in love, which is what makes it a perfect fit for your recessional song. “You and me baby we’re stuck like glue” are the perfect lyrics to describe your new union. This fun and fast-paced song will bring a smile to everyone’s face and get them moving. 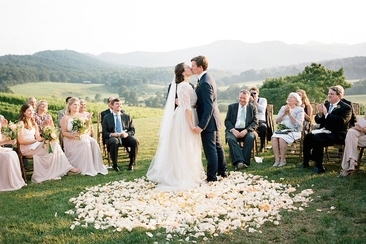 This Kiss is one of the most popular country recessional songs and for good reason. It has a catchy beat and catchy lyrics that will fill your ceremony hall with happiness. This song is a great combination of country pop and rock for something a little bit different from the traditional classic country recessional songs. It’s a beautiful ballad that also has an incredibly catchy melody. If you are looking for country wedding recessional songs which are fun and fresh, then this might be the song for you. The song talks about the many experiences couples go through together noting it is often best to not to take things too seriously and just enjoy the ride. I Could Not Ask for More was originally released in 1999 by Edwin McCain, but Sara Evans put a country spin on it in 2001. Her version is a more mellow and slow option for your recessional song, but is still a beautiful and touching song for a slower, more sentimental recessional. What better song to play on a day when you should have no worries or concerns than this one. While the song talks about typical everyday chores like doing the laundry, It is simplystill a fun song about a young woman who runs off with her boyfriend because you can’t stop love. Another popular recessional song is this one from Dierks Bentley. It’s got a foot tapping melody that warms the heart. Plus, it is sure to put everyone in a happy mood to celebrate the new Mr. and Mrs. In 2009, this hit from Keith Urban was named as the number one country song for the first decade in the 21st century. It should come as no surprise that it has all you would want in a recessional song. Released a few years after the previous song, it had just as much success. What makes this song perfect for your trip back down the aisle is the story it tells about a man and a woman starting a new and exciting relationship together. Isn’t that what your wedding day is about? That’s why this is a fitting choice. 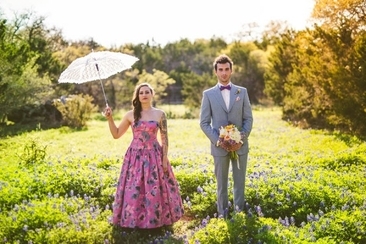 It’ll be hard to find a wedding recessional country song that is more perfect than this one. It not only sums up the feelings of the happy couple, it is also upbeat. This one is sure to be a crowd-pleaser in every way - both for the heart and the feet. This beautiful country song tells the classic story of how a boy meets a girl and the rest is history. It also touches on how easy relationships can be when faith intervenes making it appropriate for church weddings. For the fun and quirky couples, this is the perfect song to really play tribute to your personalities. The lyrics express how any ordinary lover won’t do because he is looking for a relationship that is a bit more crazy, but in a crazy good way. Taylor Swift is known for her capabilities for writing love songs, and this is one from her teenage years that still packs a heartfelt punch. It features a classic upbeat country tempo as well as banjo and fiddle strumming in the background. Looking for the best traditional wedding music? We’ve got a curated list of the most majestic classic masterpieces, perfect for each of the parts of the wedding ceremony. 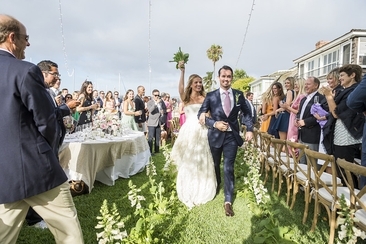 Looking for wedding recessional songs? We have complied some best choice for you. 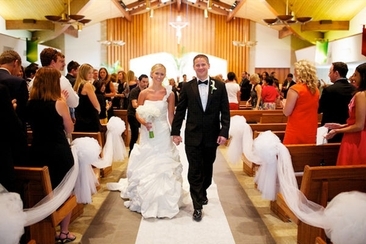 Check out list of top 10 recessional songs to accompany you walking back down the aisle. Sticking to a wedding weight loss plan will help you look beautiful in your wedding day. From food and exercise to drinks and sleep, find one you like and you will make it.